Above was a comment from my spiritual birthday post from yesterday. WOW! The Spirit is moving, moving, moving….. 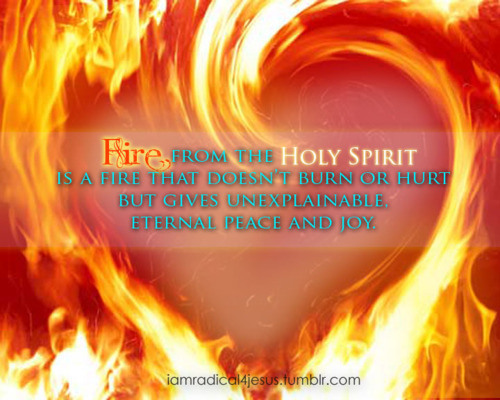 The Holy Spirit was found in the burning bush of Moses, the burning sacrifices of God’s people in the Old Testament, and now, today, the Holy Spirit cleanses us and we are made new–filled with joy and spiritual wisdom. We place our “chafe” all the things that keep us from joy and wisdom on the altar and claim that Jesus took care of these things–IT IS FINISHED!